The consistent movement of a nursery glider is the stuff of legend; many parents who try to put their restless baby to sleep often find themselves nodding off because of the tranquil back-and-forth movement. While traditional rocking chairs operate in an arc-like path, nursery gliders ‘glide’ back-and-forth, meaning less effort on your behalf. If you’re looking to find the best nursery glider to lull your baby back to sleep, you’ve come to the right place! Our nursery glider article contains in-depth reviews of 10 of the top gliders with all of the information you need to buy the best for you and your baby’s needs. When it came to zeroing in on the top nursery glider on the market, numerous boxes needed checking. After partaking in a great deal of research, we’ve come to the conclusion that the Mikayla Swivel Gliding Recliner from Baby Relax not only checks the boxes, but goes above and beyond, containing all the best features most new parents are looking for in a nursery glider. For starters, the Mikayla Glider is (in our opinion) one of the most aesthetically pleasing gliders on our list. It comes in four different colors – mocha, gray, gray linen, and beige, and features white button tufting on the backrest as well as white trim detailing up the sides. Designing your baby’s nursery is an exciting process but can also be stressful as finding just the right pieces can takes a great deal of time; we believe the Mikayla’s minimal yet striking design can easily fit into almost any nursery style and decor-type. As you might have already noticed in the name, Baby Relax also designed this glider to swivel. With an enclosed ball bearing mechanism, the Mikayla Glider features a rotating swivel function, meaning added movement and comfortability for you and your baby. Additionally, the ball bearing mechanism allows for a gliding motion that’s smoother than the average nursery glider. Another feature that the name suggests is its ability to recline, a pretty rare feature in gliders that should not be overlooked. Let’s face it, gliding your baby to sleep can also mean gliding yourself into a relaxed and heavy-eyed physical state. When you’re feeling immovable or if you simply want to have an intimate nap with your loved one, this glider from Baby Relax has you covered. Although this glider has a lot to boast about, it’s priced at the middle-of-the-road. While the Mikayla Swivel Gliding Recliner has a slew of great qualities, there are two gripes that we need to mention. First, a few users have reported the recliner portion of the glider is somewhat difficult to activate as it takes some elbow grease. Furthermore, some purchasers have had issues with the base of this glider, namely that it becomes noisy over time and may lack in the durability department. The Mikayla Swivel Gliding Recliner from Baby Relax is a beautiful piece of furniture with some incredible features that will fit into any nursery design. Throw in an average price point and it’s easy to see how this glider is our pick for Editor’s Choice. With one of the lower price-points on our top ten list is the Windsor Glider and Ottoman from Angel Line. Don’t let its reasonable price fool you, however, as this glider rivals its competitors with higher price tags. With great reviews, options and features, bestowing the Windsor Glider and Ottoman our Best on a Budget choice was a no-brainer. To start off, this glider comes in 12 different colors, ensuring you’ll find the perfect one for your home and nursery’s decor-type. With three different chevron options, and a slew of other colors from light to dark, only one other glider on our list outdoes the number of options. As the name suggests, the purchase of this glider includes a matching ottoman. Although it is fairly common for a glider to include an ottoman, it definitely is worth noting as there are still a number of gliders on the market with ottomans sold separately. While it may not seem super important, having an ottoman to rest your feet on while up nursing your newborn at two in the morning feels like a godsend. Adding to this, both the glider itself and ottoman contain metal bearings, meaning a smooth back-and-forth motion that’ll sooth your loved one back to sleep. Another great feature Angel Line included in the design of this glider are its storage pockets, which provide an extra set of hands when you find yourself in over your head, which seems to happen quite often when dealing with a newborn or toddler. Adding to this, the cushions on this glider are removable, meaning cleaning up any spills or accidents are much easier. While on the subject of cushions, we do need to inform potential buyers that while not a common complaint, we have heard rumblings about the cushion padding being thin and wearing out somewhat quickly. Furthermore, a few have reported that the springs don’t stay in place over time. Although its one of the cheaper gliders on our list, the Windsor Glider and Ottoman by Angel Line is a high quality piece of furniture at a reasonable price. Factor in the ottoman that’s included with purchase, the number of color options and some truly great features and you’ve got a glider that deserves to be on your short list. While the Hoop Glider and Ottoman from Stork Craft isn’t anything out of the ordinary in terms of features, its a solid, good-looking piece of furniture that deserves to be on our list. As we go through this review, you may notice some striking similarities to the Windsor Glider and Ottoman reviewed above. The wood on this particular glider from Stork Craft comes in three colors: Black, Cherry, and Espresso. Regardless of the color of wood chosen, you’ll get a beige-colored fabric. The backrest is neatly tufted with beige tufting and provides an elegant and clean aesthetic. The muted look of this glider, no matter the color of wood chosen, means it will fit nicely in the whatever style home you might have. Like the Window Glider and Ottoman reviewed above, the Hoop Glider and Ottoman from Stork Craft includes, you guessed it, an ottoman with purchase. Adding to this, both the glider and ottoman use enclosed ball bearings to provide a soothing, smooth glide for both you and your baby. Keep in mind that an ottoman can assist when it comes time to nurse your loved one. Also like the previously reviewed glider, this model provides storage in each of the arm cushions, meaning you can easily store your baby’s toys or other items and access them with ease at a moment’s notice. We really appreciate when manufacturers design gliders with storage pockets; although they may not seem like a big deal, they can make or break a difficult situation with an unhappy baby. While the vast majority of users say this glider and ottoman can bear a lot of weight, a few have said it feels a bit flimsy. Adding to this, there is a general consensus that Stork Craft has created an extremely comfortable product, however, the minority have stated heavier people may find it somewhat uncomfortable. While it doesn’t have any truly innovative features, or a vast number of color options, the Hoop Glider and Ottoman from Stork Craft is a solid glider and ottoman combo that is right at home on our top Nursery Glider Reviews article. As you might have noticed, this is the second glider from Stork Craft that’s made our list. Like the previously reviewed Stork Craft glider, the Tuscany Custom Glider and Ottoman is a great option for you and your baby as it boasts a plethora of features including one not found with the majority of other gliders on the market. This particular glider comes in fourteen different color combinations, making it the glider with the largest number of options on this list, and quite possibly any list. While we’ve mentioned in some of the other reviews in this article that you’ll be sure to find a glider to suite your home decor due to the various colors available, the Tuscany Custom Glider and Ottoman definitely takes the cake in this regard. Like some of the other gliders in our article, this Stork Craft glider includes an ottoman with purchase. However, unlike the other gliders listed, the Tuscany Custom Glider and Ottoman also includes a matching lumbar support pillow. The ability to use the glider with or without this included support pillow is a great feature that shouldn’t be overlooked. Ensuring that your baby is peaceful and comfortable means you’ll find yourself in rather uncomfortable positions; being able to switch up your situation with the addition of some lumbar support is a welcomed feature from Stork Craft. Rounding out the list of features are storage pockets on each armchair for your loved ones books, toys, or even your cellphone, as well as ball bearings to ensure an even and tranquil back-and-forth motion for both you and yours. Although uncommon, some users do report that the construction on the unit they received wasn’t extremely sturdy, and the cushion wasn’t super cushion-y. The Tuscany Customer Glider and Ottoman from Stork Craft boasts in mind-boggling number of color and style options and includes a matching lumbar support pillow with purchase. If you like options and some unique features not found with other gliders, this one’s definitely for you. Naomi Home produces a myriad of different products for the home, including this glider and ottoman set. This set is aesthetically similar to some of the others in this post, and includes a number of features that make it an excellent option for those looking for a glider and ottoman set. One of the first things to note regarding the Brisbane Glider and Ottoman is that it’s one of the cheaper units on the market, but doesn’t sacrifice quality. Adding to this, with six different color options, the Brisbane isn’t on the level of the Stork Craft Tuscany, but still provides a number of great options to fit the scheme of your baby’s nursery. As the above information denotes, this set includes an ottoman with purchase, similar to some of the other gliders on our list. If you missed this point in a previous review, we love ottomans for a number of reasons, the most important being they provide extra support and maneuverability while breastfeeding. Adding to this, ottomans are just plain comfortable, especially when you’re up in the wee hours of the morning and want your glider to simulate your bed. Like we’ve seen in some of the other gliders reviewed above, the Brisbane has a couple storage compartments on the outside of the armrests, meaning a quick and easy place to store your baby’s items (bottles, books, toys, etc.) as well as your items (phone, glasses, jewelry, etc.). And speaking of armrests, Naomi Home made to toe provide ample padding so your as comfortable as can be while supporting your loved one. Although Naomi Home makes it a point to highlight their comfortable and supportive cushions, a few users state this isn’t so much the case. Additionally, some users have said the glider and ottoman may lose some sturdiness over time. With a respectable number of color options, a reasonable price-point, and number of great features including an included ottoman, Naomi Home offers an excellent glider and ottoman set at a price that won’t break the bank for most and help you create a nursery like this one. If you look at Angel Line’s Monterey Glider and Ottoman and feel like it looks awfully similar to some of our previously reviewed gliders, you’d be correct. The brands that manufacture gliders commonly use a standard design, meaning many of the gliders listed look similar and have similar features. While some of the other items on this list have a plethora of color options, the Monterey Glider and Ottoman only comes in three color variants. However, the color combinations are different enough to where we think you’ll still be able to find one that fits the decor of your baby’s nursery. As the name of this glider states, it comes with an ottoman, meaning an easier time breastfeeding your loved one as well as increased comfort-ability when all you want to do is go back to bed. As with some of the other gliders, Angel Line has outfitted this set with enclosed metal bearings which provide a smooth glide to ease your baby back to sleep so you can follow suit. Additionally, padded armrests and storage pockets are a highlight of this product, meaning added comfort and usability. And if you or your baby make a mess on the chair cushion, it’s easily removable for spot cleaning and stain removal. While uncommon, a few users have complained that the cushion is quite thin, and some have even gone as far as purchasing additional padding. Furthermore, some users report the springs don’t stay put over time. While it doesn’t have any features not already included in the other gliders reviewed, the Monterey Glider and Ottoman from Angel Line is a solid option that deserves to be on this list. While some of the other brands of gliders on this list need an introduction, Graco definitely doesn’t. Graco is one of the most well-known baby brands in America and produces a plethora of baby goods that are sold nationwide. While the Graco Parker looks pretty standard at first glance, it conceals a pretty cool feature that might make it the go-to glider for a lot of moms. While we explain in other reviews that ottomans are great for nursing as they provide extra support, Graco takes it a step further on the Parker with a pull-out nursing stool. Beneath the side of the ottoman facing the user is a stool that can be pulled out to provide extra support for your feet while nursing your baby. When the stool is no longer needed, it can be easily folded beneath the ottoman and kept out of the way. If you came here looking for the best breastfeeding glider or chair, here it is. While on the subject of the Parker’s ottoman, we also want to note that it includes enclosed metal ball bearings to provide an extremely smooth glide. The Graco Parker itself comes in three different colors and comes with ultra-plush microfiber cushions that provide ample support and are fairly easy to spot-clean after an accident. Adding to this, the arms themselves are fully upholstered to provide added durability and a minimal, clean look. Furthermore, Graco has built this glider with a hardwood known as rubberwood, as well as some composites. While the frame isn’t fully hardwood, it’s undoubtedly more durable than softwood or fully composite frames. While most users have no issue with the quality of thickness of the cushions, a few have stated they believe the padding should be thicker, and doesn’t actually provide the support that Graco claims. Adding to this, the design of the backrest may leave taller users not feeling fully supported. It’s hard to go wrong with a product from a brand like Graco. Add in the Parker’s unique pull-out nursing stool as well as its other features and we believe this glider is the best breastfeeding glider and chair. While some of the other brands in this post make a plethora of other products not related to a nursery, DaVinci has zeroed in on the nursery market and produces strictly nursery-related products, meaning they’re your go-to when transforming a standard room into a nursery. What this means to you, the consumer, is DaVinci has a better understanding of what a nursery glider should do and can focus on making the best glider possible, as they’re not trying to juggle the manufacturing of products in other areas of your home. If you read our Editor’s Choice review above, you might remember reading that the Baby Relax Mikayla Swivel Gliding Recliner is, in our opinion, one of the most aesthetically pleasing gliders in this post. Well, we think the DaVinci Olive just might take the cake for design and aesthetic. The DaVinci Olive Upholstered Swivel Glider and Ottoman comes in four beautiful colors: cream, dark gray, dark gray with piping, and gray with piping, each of which is striking and contemporary. What’s more, the style of this glider means it doesn’t have to be contained to a nursery and, as your children grow, can be moved to other areas of your home. DaVinci has outfitted this set with 100% soft and durable heathered polyester fabric, and has made sure that no chemical flame retardants were used during its production. Before falling completely in love and making purchasing this glider, we do want to note two things. First, the while the chair glides, the included ottoman does not. While this isn’t a huge gripe, it did bother some users. Second, this chair was designed with high back for added support; some users aren’t fans of this design, as they believe it makes breastfeeding or reading somewhat difficult. We believe this glider and ottoman set from DaVinci is the most beautiful and well-designed in our article, and, well, anywhere. 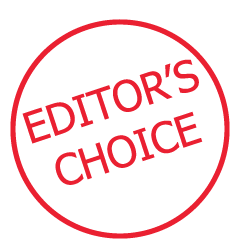 Add in a plethora of great, industry leading features, and the DaVinci Olive really gives our Editor’s Choice a run for its money. Like the DaVinci Olive glider above, the Pulaski Harmony Swivel Glider is a unique take on the traditional nursery glider design and is truly a breath of fresh air. Pulaski has created a well-designed, contemporary looking glider with a laundry list of great features that rival some of the best gliders on this list. One thing to note before diving into this review, however, is that the Harmony Swivel Glider has a higher price. Coming in two different colors, one being a grayish-blue and the other being tan, the Harmony is a great looking piece of furniture. Pulaski has done well in manufacturing this glider, with clean, tailored arms and piping detail throughout. As with the DaVinci glider previously reviewed, the Harmony can easily fit into a room other than a nursery as your children get older and your home beings to evolve. One of the most unique features on this particular glider, and something not found on many of the others on this list is it’s ability to recline. While no ottoman is included with the purchase of this glider, the fact that it reclines so you and your baby can get some much-needed sleep is a definite plus. Another feature on this glider is its full 360 degree swivel, base which, as we mention in previous reviews, means added movement for you–something that is of utmost importance when you’re trying to do three things at once, all while cradling your baby in your arms. Pulaski wraps this glider in a premium, soft fabric and uses ample padding to ensure years of comfortable gliding. While the vast majority of users agree, a few have reported they don’t think the padding is as soft as it should be. Adding to this, some users believe their chair has loosened over time and feels slightly weaker. With a distinct glider design and list of great features, some not found in the majority of gliders on the market, the Harmony Swivel Glider by Pulaski is a great, albeit expensive, option for your nursery. At first glance, the Dutailier Sleigh Glider looks a lot like many of the other gliders in this article. While it’s design resembles that of the common glider, the Dutailier Sleigh Glider is a much different animal for a number of reasons. Dutailier has been around for over 35 years and in that time has become one of the leading experts in the design and manufacturing of gliders and rocking chairs. Before we jump in to more of the specifics, we do want to make readers aware that this glider is usually pricier than the average unit on our best nursing chair list. However, Dutailier pulls out all the stops with this glider and with all their gliders, which makes the price of their products justified. While other gliders are manufactured overseas, Dutailier designs and manufactures all of their products in Canada. Because of this, Dutailier’s products are more durable and long-lasting, meaning they’re able to put their money where their mouth is and stand behind the Sleigh Glider in the form of a 5-year warranty. When it comes to craftsmanship, Dutailier doesn’t mess around. They’ve designed a brand exclusive gliding system with high quality, sealed ball bearings, meaning you’ll get an extremely smooth glide time after time. Adding to this, the Dutailier’s frame is made of hardwood, which is something not found in the majority of other gliders on the market. Dutailier quite literally pulled out all the stops, as this glider has been designed with a multi-position mechanism that allows the user to stop the glider at a specific position, meaning much more control than provided from a standard glider. Furthermore, the backrest is fully adjustable due to the reclining mechanism Dutailier has designed the Sleigh Glider with. And of course, this glider wouldn’t be complete without an ottoman, which Dutailier includes with purchase. As we’ve mentioned before, ottomans are great for nursing as well as relaxing and napping. Of course, even a glider that was crafted with the attention to detail this like one is still going to have a few cons. Because the armrests on this glider are attached with Velcro, a few users report that they tend to slip off over time, causing some understandable frustration. Adding to this, the seating area may not be as wide as is needed for some, causing you to feel a bit confined. Although at a higher price, the Dutailier Sleigh Glider is a well-made, durable glider from a company with a great deal of experience. Throw in standard features and a few not found elsewhere, and it’s an excellent option, if your budget allows, that is. Delta Children was first instituted in 1968 in Brooklyn, New York. They have always created high quality products for children. Their founder, Louis Shamie Sr., was inspired by being a parent to create stylish products that parents could afford. Following this vision, Shamie Sr. was able to make his small store in Brooklyn into on of the leading crib manufacturers in the world. This focus on excellence and affordability continue to this day. The Shamie family still own and run the business and strive to uphold their founder’s vision. You can purchase nursery furniture, strollers, baby gear, kid’s furniture, mattresses, storage, décor, crib conversions, and accessories all from Delta Children. Essentially, any product you could need for your child’s safety and comfort, you can find at this high-quality manufacturer. In addition to their commitment to creating the best and more affordable children’s products possible, Delta Children is also focused on children’s safety. You can see this in the many features they add into all of their products. The quality of materials also matters in safety concerns, and Delta Children does not skimp. You know you are getting the highest quality and best made product possible when you purchase from Delta Children. In addition to making sure their products are as safe as possible, Delta Children also founded the Safe Sleep Campaign. The nonprofit attempts to make sure every child has a safe place to sleep. Louis Shamie Sr. began this mission in 1968 when he started Delta Children, but the family did not formalize his efforts until 2012. Today the Safe Sleep Campaign educates parents on the importance of safe sleeping conditions and donate products to families in need. Every product that you purchase from Delta Children has a portion that goes to funding these donations. Delta Children’s Harper Swivel Glider illustrates all of the best features of a Delta Children product. It will be an extremely stylish addition to any nursery. It comes in three colors—blush, flax, and charcoal grey—and has button tufts along the back for elegance. Because this chair has such a sophisticated design, it can be used in any room of your home. So, when your baby outgrows the nursery, you can put it in your own bedroom or living room as a stylish accent chair. The Harper rocker chair also swivels 360 degrees and glides back and forth. This allows you to provide a smooth, calming motion for your little one while also being able to reach any side. Delta Children claims that the gliders are whisper quiet so as to not disturb your sleeping baby. The slim, rolled armrests provide a comfortable place for you to support your child as you use the chair. Delta Children’s commitment to safety can be seen in the construction of the Harper swivel glider. It has a sturdy frame for durability. The steel mechanisms also increase the durability of the chair while also ensuring a quiet rocking and gliding space for you and your child. There is never any need to worry about a Delta Children chair unexpectedly coming apart as you sit in it. It comes in three colors so that it will match any nursery. Plus, its classy and stylish design will allow it to transition to any room after you stop needing it in the nursery. The chair swivels 350-degrees and glides back and forth. Delta Children has added a strong frame and steel mechanisms that allows the chair to last as long as you will need it. The pocketed coil springs and other design features have your comfort in mind. You never have to worry about being uncomfortable as you comfort you child. Users say that it is very easy to assemble. Users have reported that the headrest is low, so that makes it hard for some people to rest their heads while on the chair. The other proportions can be off for some people, so you should try the chair out before purchasing it. Swiveling the chair also requires more effort. This can make the motion choppier, which could disturb your child as you move. The seat of the chair is not made for women with wide hips. So, some women may not fit comfortably. If you are looking for a stylish, durable, and functional swivel rocker chair for your nursery, Delta Children’s Harper Glider is the one for you. It is a multifunctional tool that will work well when you child is a baby and will continue to serve your well throughout the rest of your child’s life. As an added benefit, this chair allows you to have it all, a stylish piece of furniture for an affordable price. With the number of nursery gliders on the market today, it can be tough finding the right one when prepping for your baby’s nursery. Our hope with this buyer’s guide is to zero in on the most important aspects to look for when comparing different gliders, and in doing so assist you in making an educated decision based off what’s best for you and your baby’s specific needs. With a newborn baby, you can expect to find yourself sitting in a nursery glider at various times throughout the day and night with your loved one. Whether you’re nursing, napping, soothing, or just bonding, a nursery glider can play a large role in the day-to-day with your newborn. That being said, it’s important to find a glider that is not only comfortable for the two of you, but also easy to maneuver in. In terms of features, we believe an ottoman is one of the most important, as it provides you with added comfortability and, more importantly, provides extra support when nursing your baby. It may seem small, but having a footrest to better position yourself and maintain that position can be a quite a game-changer. Having a place to store items like a bottle, phone, or book really comes in handy when you have a fussy baby. When deciding on a glider, be sure to check if it has storage pockets that are easily accessible from a seated position. For those late nights or early mornings, a recliner can be a godsend. Having the ability to put your feet up or get your entire body in a more horizontal position can be quite helpful when any sudden movements wake up your baby, and allow the both of you to get some much-needed shuteye. In terms of maneuverability, a glider with a swivel feature can’t be beat. Although it’s not super common, a fair amount of gliders include a swivel feature, which helps you move around more easily and grab items that would otherwise be out of reach. There’s no point in buying a product that’s not going to keep its shape over time or withstand normal wear and tear. While the gliders we’ve listed all have good track records in regards to durability, we have heard reports of some gliders arriving damaged or not being as durable as they should be. Keep the following in mind when looking for a reliable glider. It’s a good sign when a brand provides a warranty with their product, as it shows they stand behind what they’re selling and fully believe in the quality of it; otherwise, they’d be losing a lot of money on faulty products that said warranty would be constantly covering. When looking for a glider, be aware whether or not a warranty is included, and the duration of it. However, if a glider doesn’t come with a warranty, it doesn’t immediately mean you shouldn’t buy it. Rather, see what those who’ve already purchased the glider have to say over time regarding it’s durability. While most frames are a mix of softwood and composites, there are a few brands that build their gliders with hardwood. Most softwood and composite gliders should hold up just fine, however, if you’re looking for a glider that will without a doubt stand the test of time, go for a frame made of hardwood. If you’re looking to purchase a glider, you most likely want one that, well, glides. Enclosed ball bearings are included in most, but not all, of the gliders listed in this Best Nursery Glider article and allow the glider to glide much more smoothly than those without them. While it’s not a deal-breaker, enclosed ball bearings assist in the glider providing a smooth glide for years to come, and should be strongly considered before making a purchase. Thanks for reading and for your kind words, David!